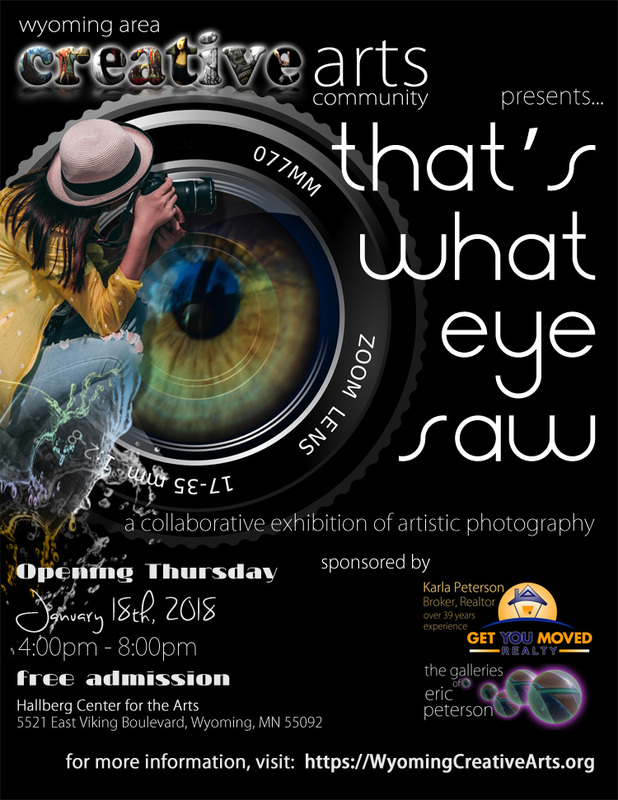 Opening Thursday, January 18, 2018 at the Hallberg Center for the Arts, this show will feature stunning photography by 19 regional photographers from North Mankato to Pine City, MN. This exhibition will be on display through February 10, 2018. This event is sponsored by Karla Peterson, a broker/realtor with over 39 years of experience, and The Galleries of Eric Peterson for websites that work.